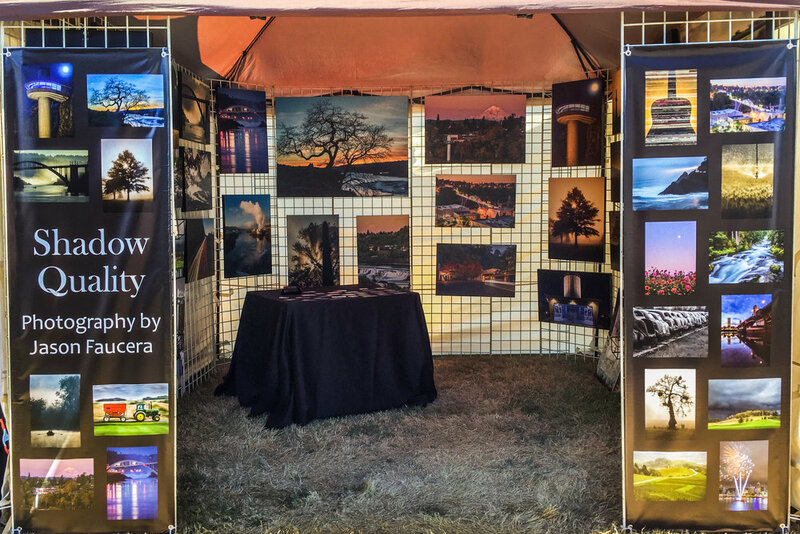 I am pleased to be showing and selling artwork at the Oregon City Festival of the Arts presented by the Three Rivers Artist Guild. The event takes place from 10:00 am - 5:00 pm August 11-12, 2018 at the End of the Oregon Trail Visitor Center in Oregon City. I will be at my booth for the entire event, so be sure to drop by and say hello. There will be many different artists with various mediums in attendance selling their work. I am continually impressed with the quality and variety of artwork from folks in the Three Rivers Artist Guild, so be prepared to like what you see. I will have canvas and matted prints available for sale as well as greeting cards. Check out my Prints page for an idea of the sizes, formats, and prices of work I offer. I won't have everything on hand, but can easily order or create what I don't have on site.